Leaps and bounds have been made in the field of restorative dentistry, and LaBry Family Dental is proud to offer treatments that can restore your confidence and help you maintain optimal oral health and function. With advanced technology and the compassionate care of Dr. LaBry and our dental team, we can get you back to smiling without hesitation. When a traditional filling can’t restore a decaying tooth back to its normal function and shape, inlays and onlays may be the solution. An inlay can repair damage contained within the cusp of your tooth (outer ridges), and an onlay is larger and able to repair damage that extends beyond the cusp. Inlays and onlays are considered the conservative alternative to crowns, but they serve the same purpose: to strengthen and protect your tooth from further damage, which allows us to preserve your natural tooth for as long as possible. 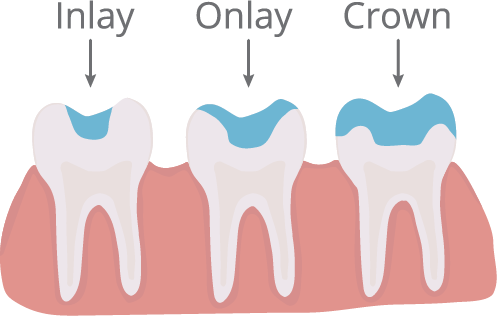 Similar to inlays and onlays, crowns are a restorative treatment meant to help you keep your natural teeth. A crown is a tooth shaped cap fitted over remaining tooth structures. Most crowns today are crafted with porcelain because of its ability to blend in with your natural smile, though the materials chosen will vary based on where the tooth in need of crowning is located. If you are suffering from decay or damage that a filling can’t fix, Dr. LaBry can return your smile to its full function with a crown. If you have a gap in your smile due to a missing tooth or missing teeth, Dr. LaBry can restore your smile with a dental bridge. When you’re missing a tooth, surrounding teeth can shift and cause bite misalignment. Shifting teeth are also harder to clean, which increases your risk of gum disease, decay, and additional tooth loss. 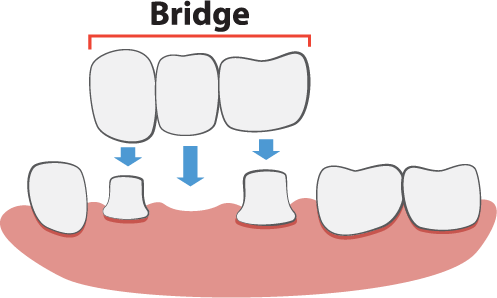 A beautiful porcelain bridge can be anchored to your surrounding teeth in order to prevent this cycle. Fixed bridges are a permanent restoration option that can get you back to eating, smiling, and laughing with confidence. We know that despite the great strides made in the field of preventive dentistry, you may still experience tooth loss for a number of reasons. If you’re missing most or all of your natural teeth, or are dealing with ill-fitting dentures, we’d love to improve your quality of life with more modern denture options. We can work with your unique needs and budget to deliver a lasting smile solution. We use biocompatible materials that mimic the form and function of your natural teeth. Because there is no one size fits all approach, we’ll inform you of the potential benefits and disadvantages of each method. Partial dentures are an option if you have enough healthy teeth remaining to use as anchors to lock dentures in place. Traditional dentures with an acrylic base are custom made with a full arch of teeth to look, feel, and function like your natural teeth. 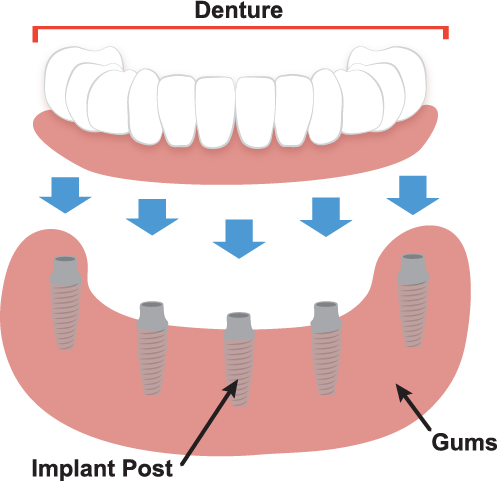 Implant supported dentures provide the most secure and life-like solution, because the dental implants that lock your denture in place stimulate the jawbone. We’re dedicated to providing our patients with the restorative care they need at LaBry Family Dentistry. We can be your go-to provider for everyday fillings and crowns, but we’re also here to help you through extensive procedures if they’re needed. If you’ve had to forgo treatment when you needed it in the past, or have undergone a traumatic facial injury, we can help you on your journey to recovery. We’ll begin with a comprehensive examination to discuss your options and determine which treatment will meet your needs and goals. A full mouth reconstruction can change your smile and improve your quality of life, but the process differs from smile makeovers because the work is needed instead of elective. We want to provide the care you need with the compassion you deserve. If you have questions about restorative dentistry or any other service we offer, we’d love to answer each one. Give Dr. LaBry a call today, or schedule an appointment online!